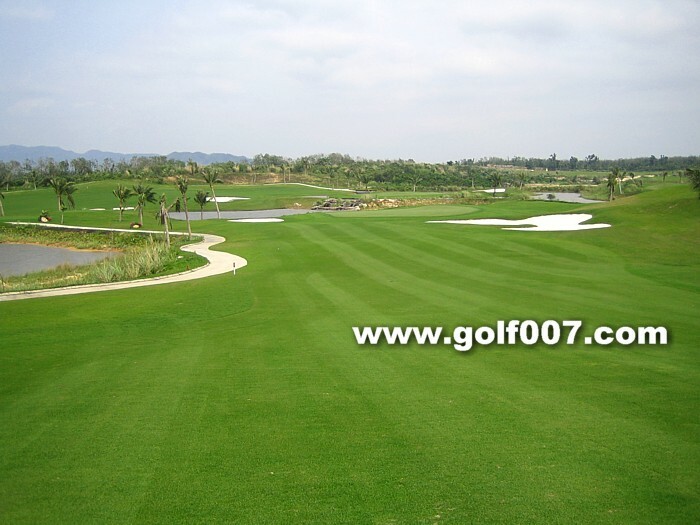 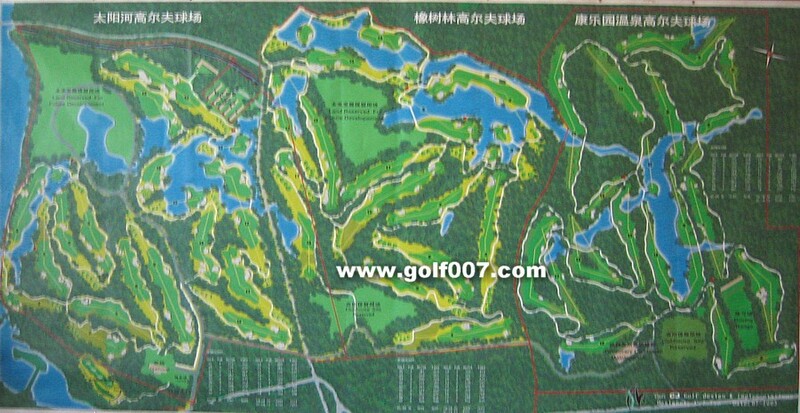 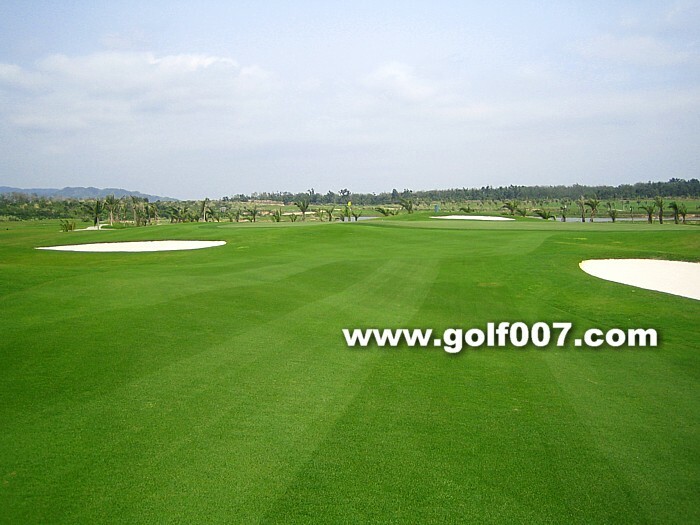 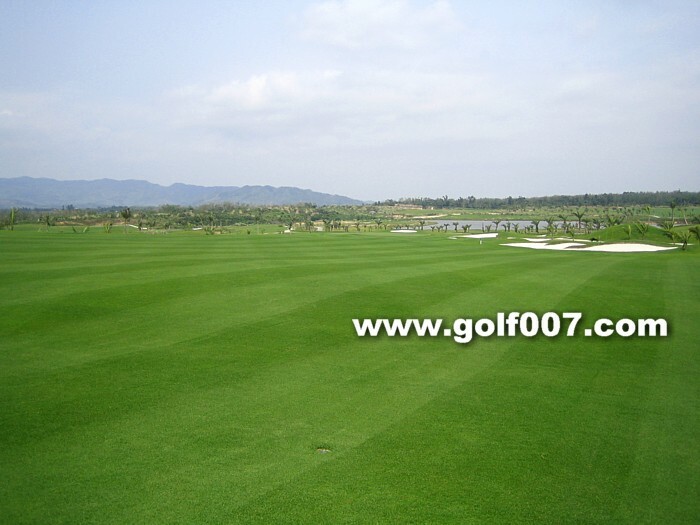 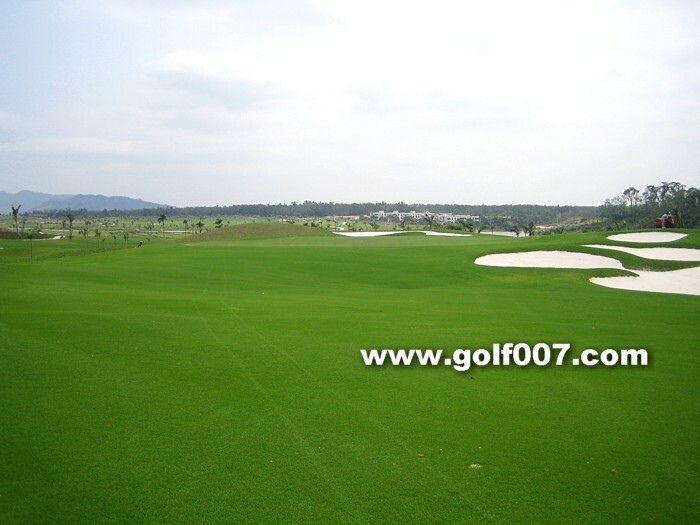 Dogleg right, long Par 4, wide fairway and elevated green. 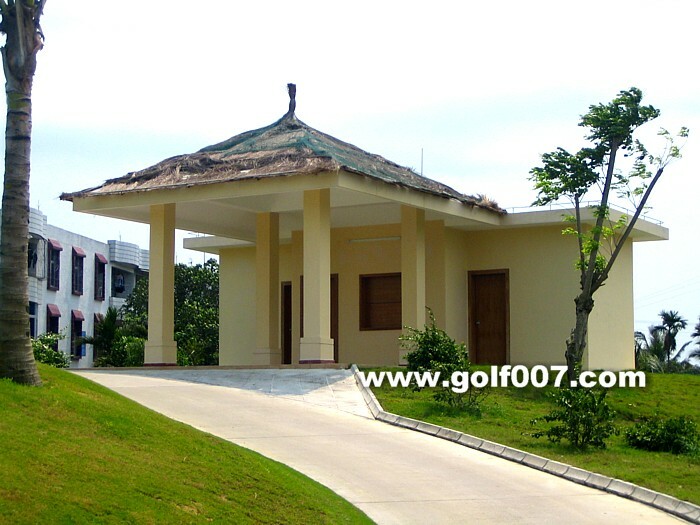 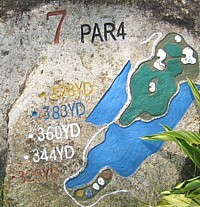 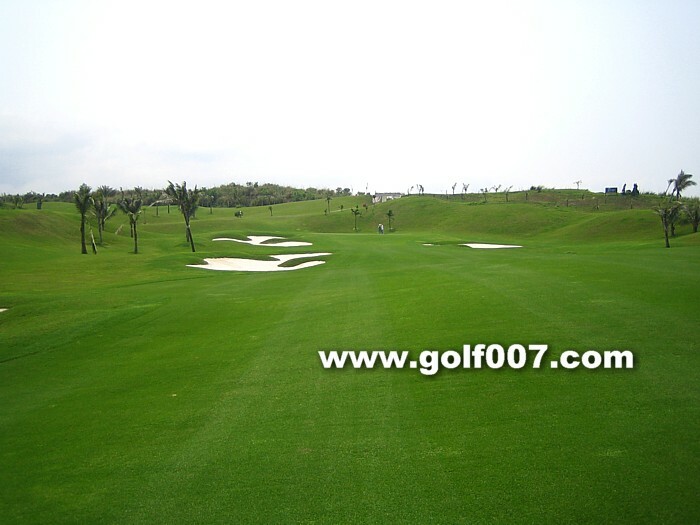 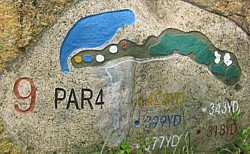 Dogleg right short Par 4, a lot of bunkers waiting for your teeshot. 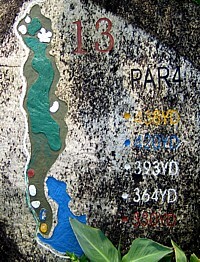 Remember to tell your caddie how far you want to hit and in return she will tell you your safe landing area. 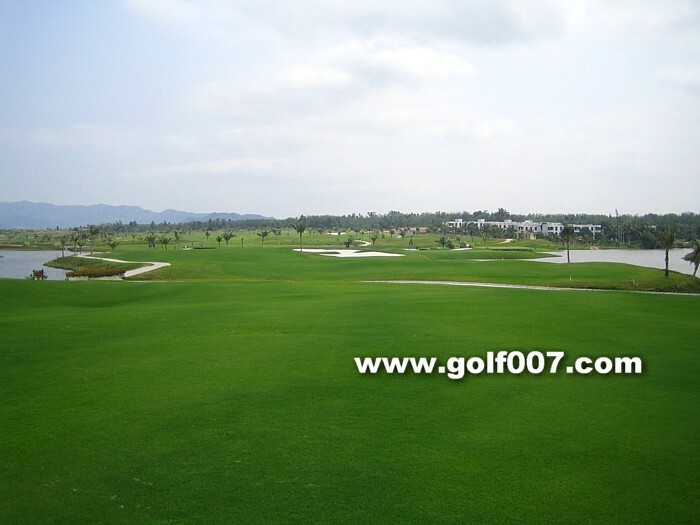 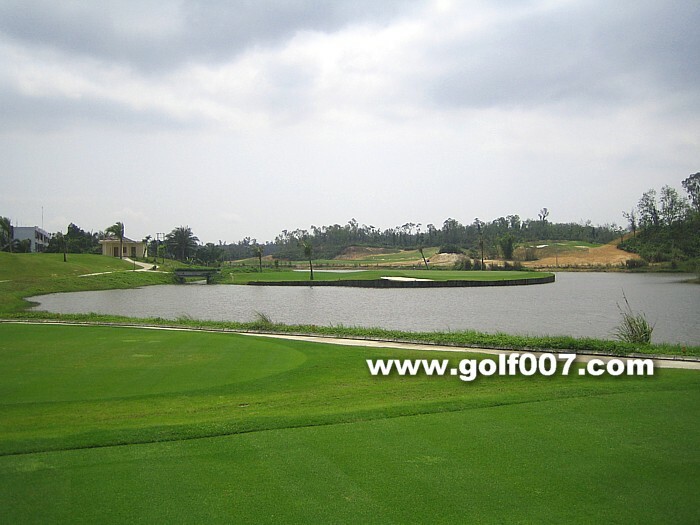 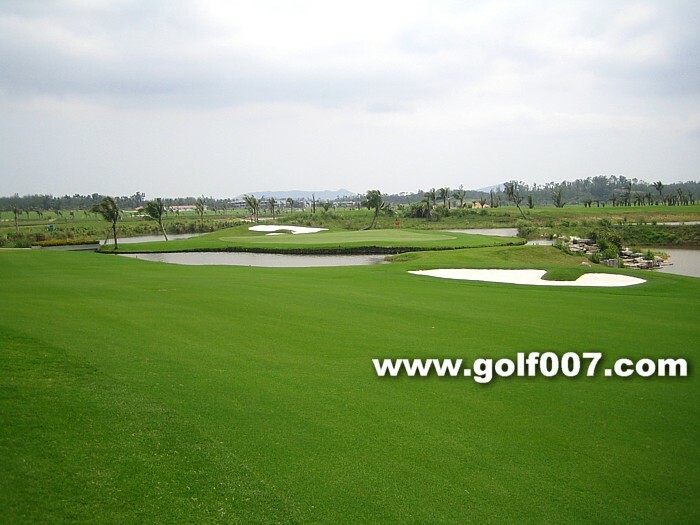 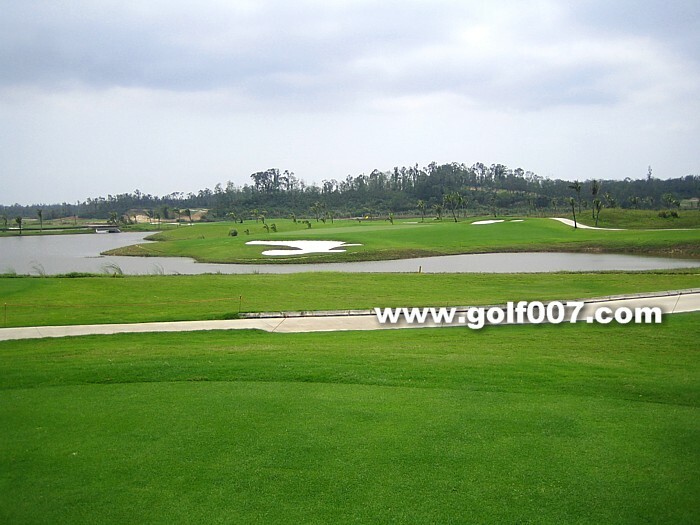 Par 5, downhill teeshot, for second shot,the best is to carry over water to the right platform , the green will then open up; otherwise, choose the left side but your approching shot will be blocked off by a slope. 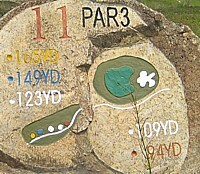 Not easy if the wind blows. 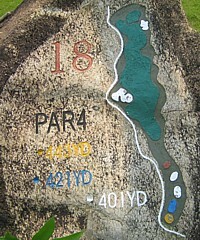 Dogleg left, not much hazards. 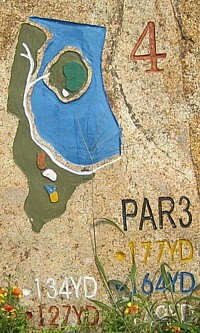 Teeshot over the lake, bunkers are waiting at the landing area. 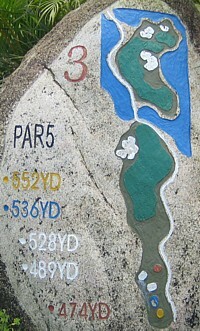 Dogleg right, not much difficult. 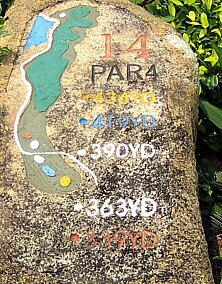 Dogleg left, teeshot over the cliff, for long hitter, aim left. 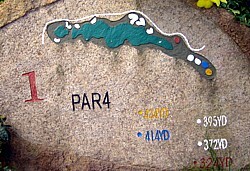 Second downhill. 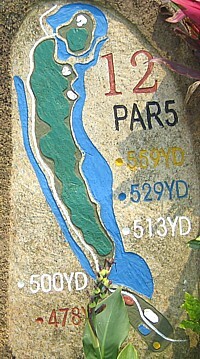 Teeshot carry over water, no much room for left and right. 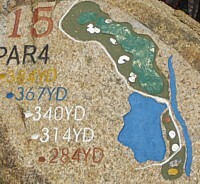 Make sure you place your 2nd shot well for approaching to the island green. 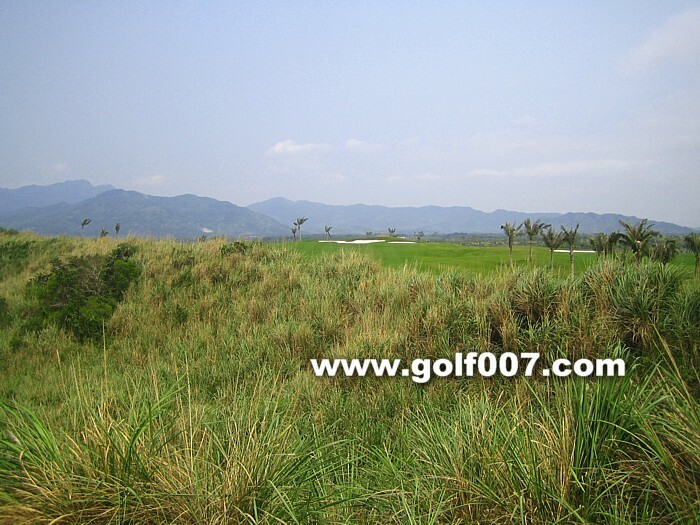 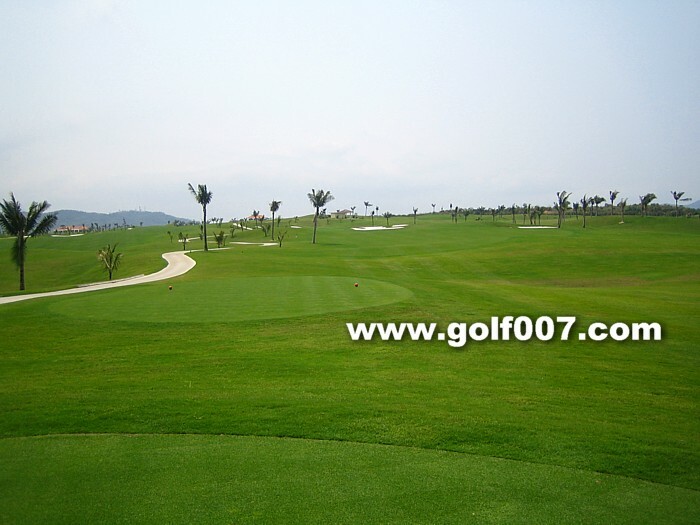 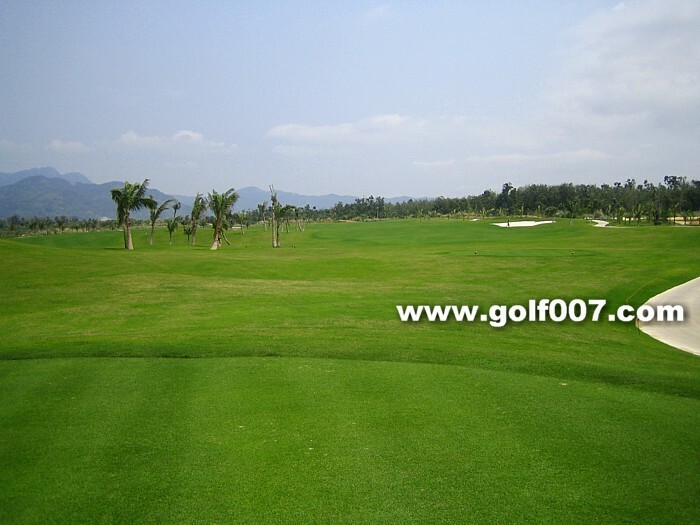 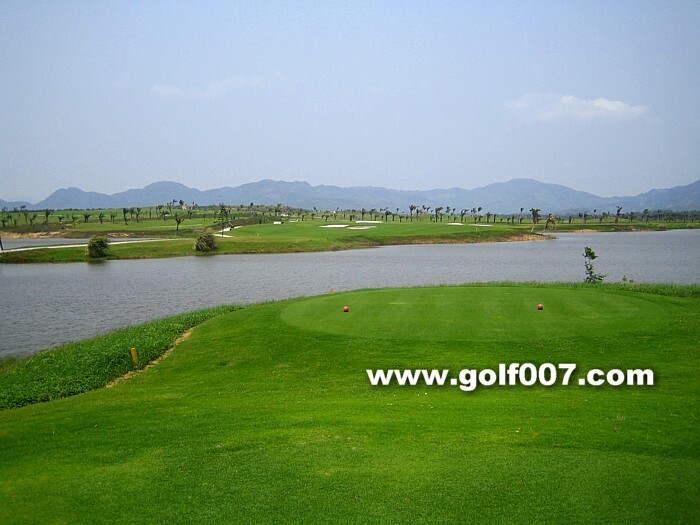 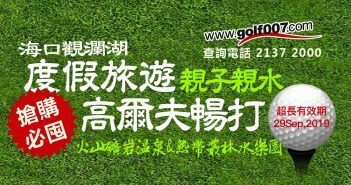 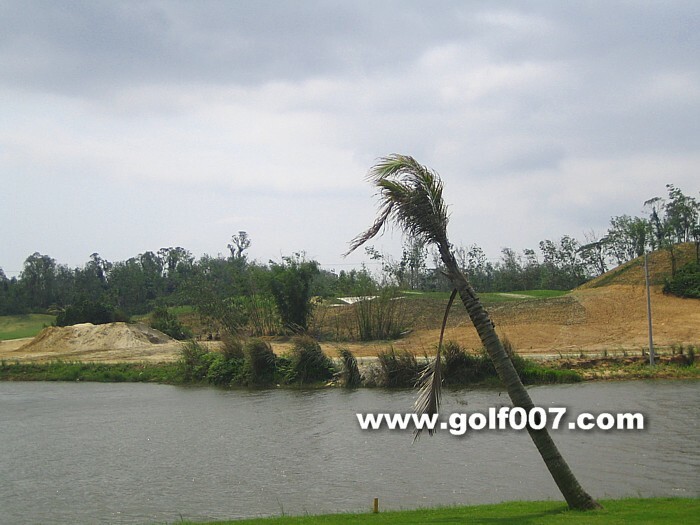 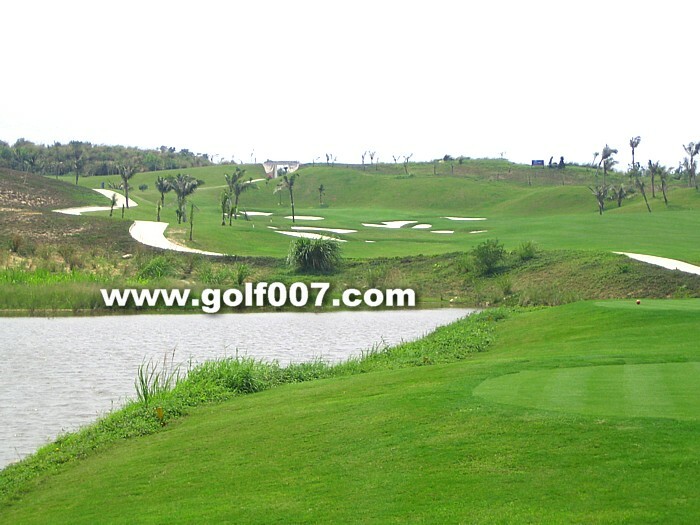 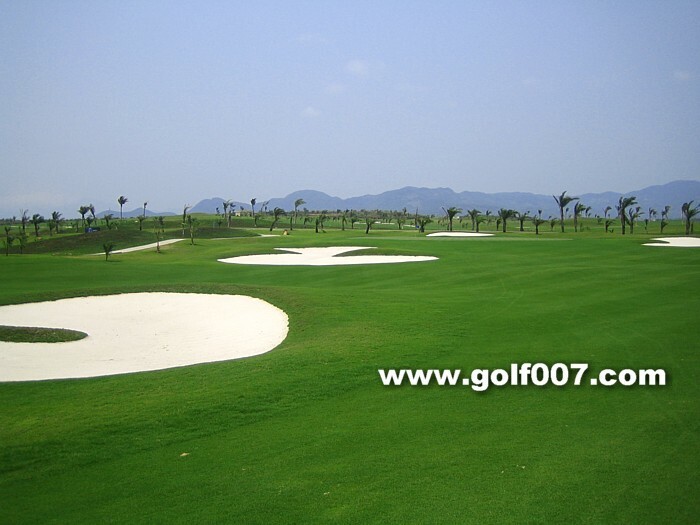 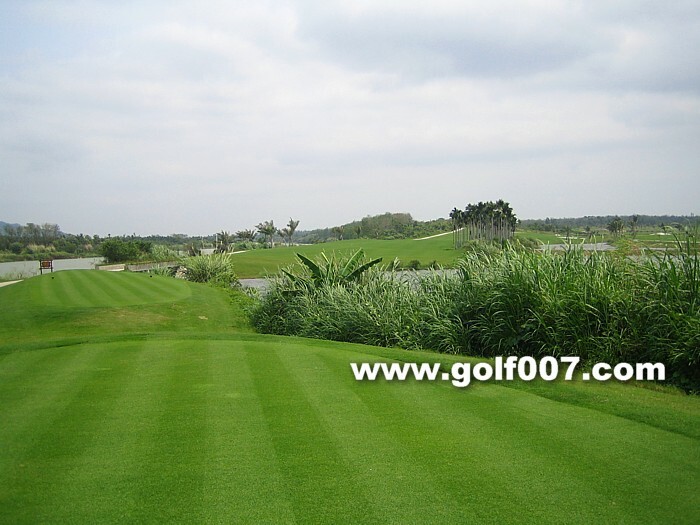 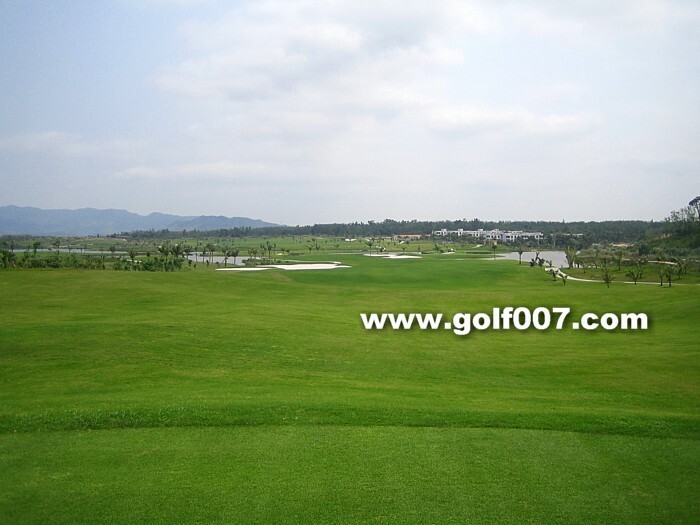 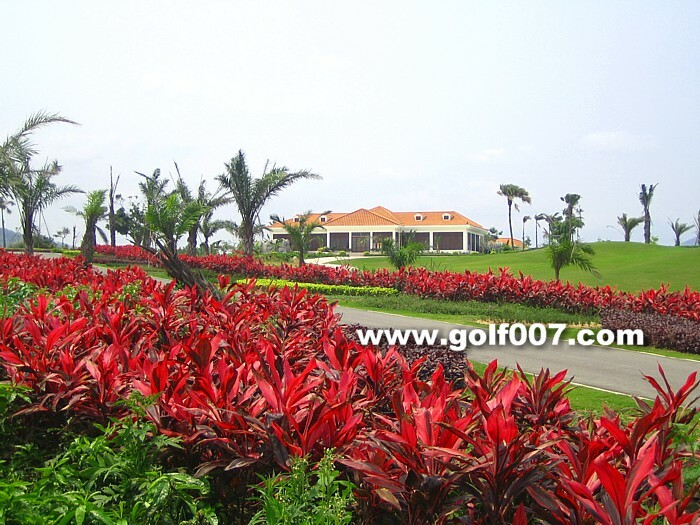 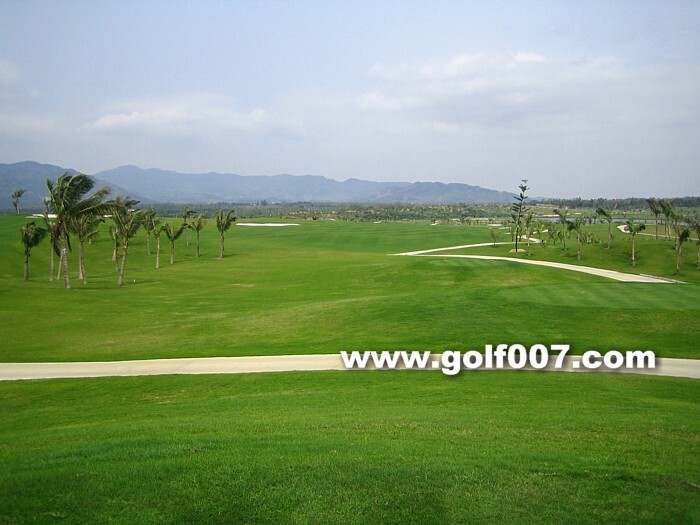 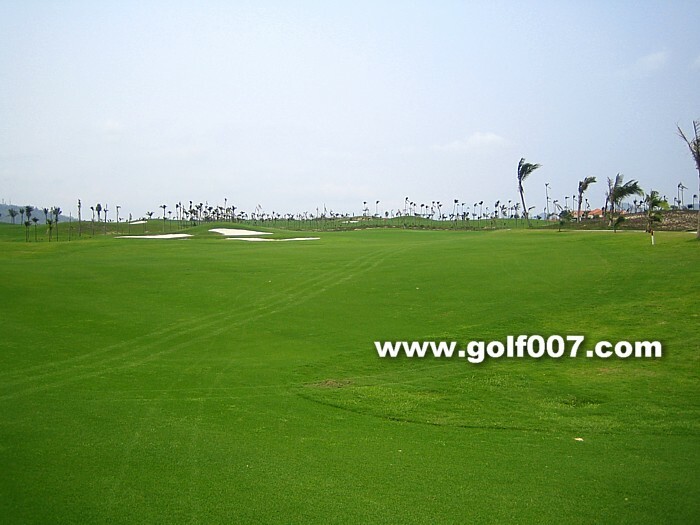 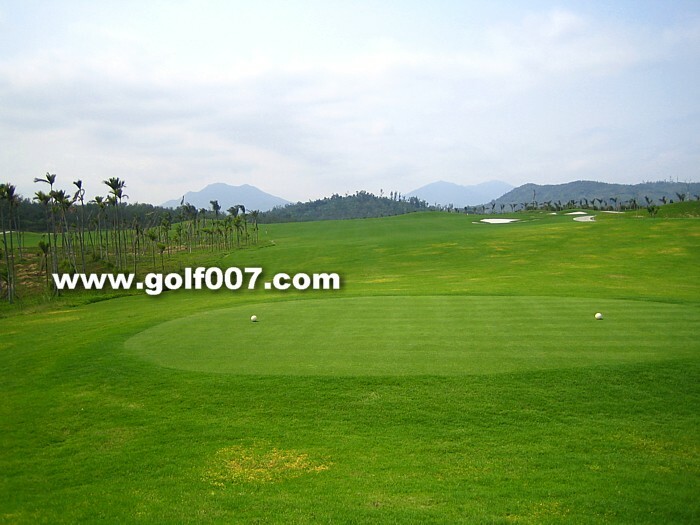 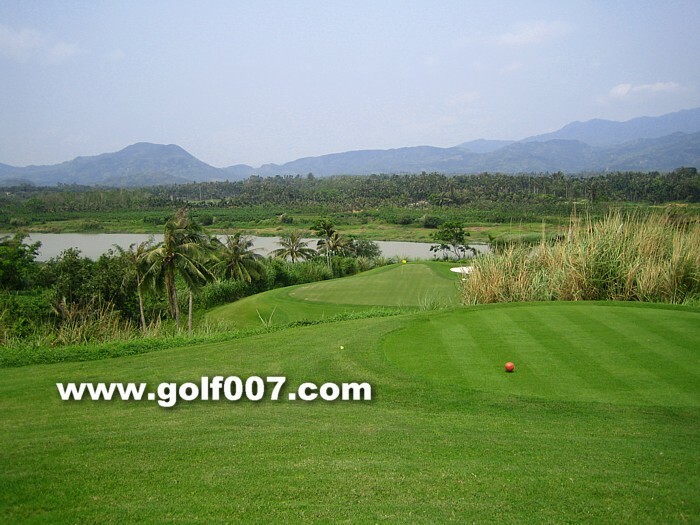 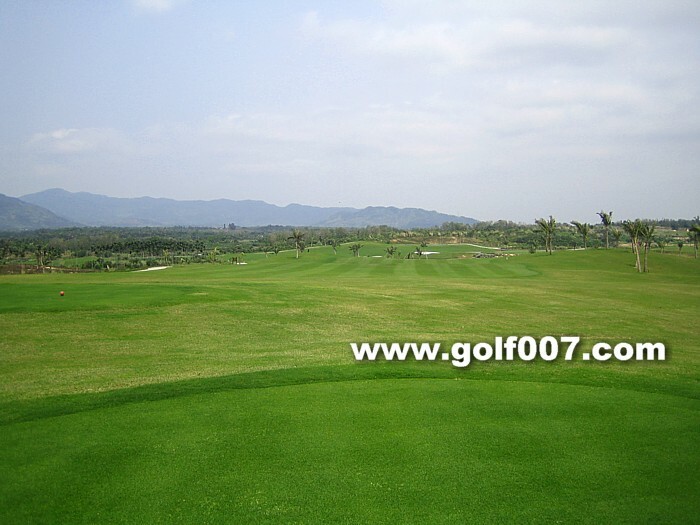 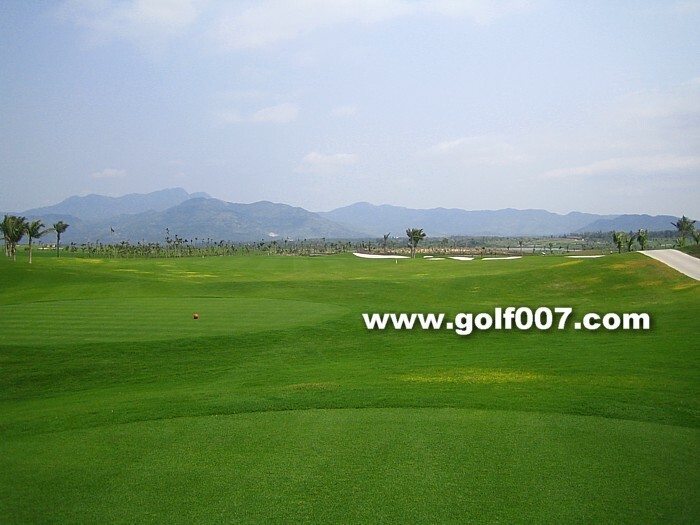 Right Dogleg, aim the first coconut tree at the right, plently of rolling after land on the fairway, try to avoid left as overhit may end up into the water. 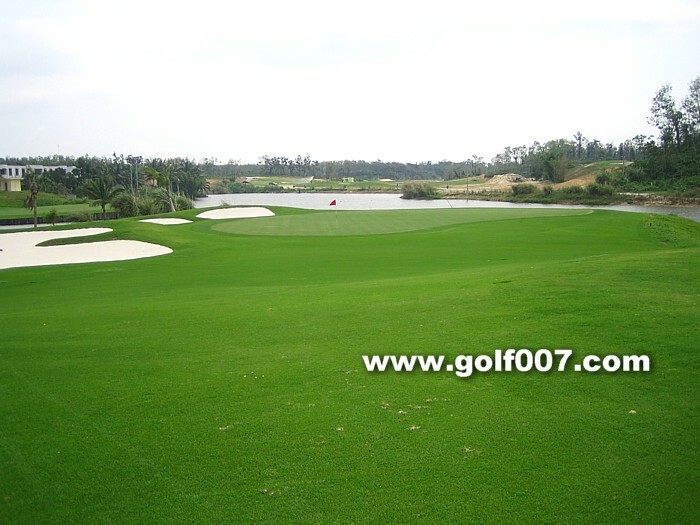 There is also water behind the green. 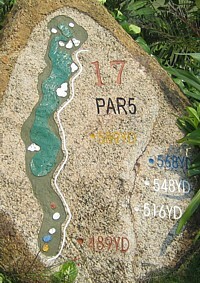 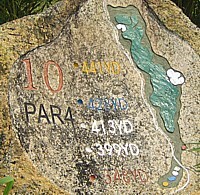 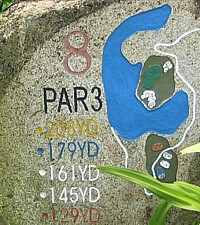 Uphill Par 4, teeshot carry over water. 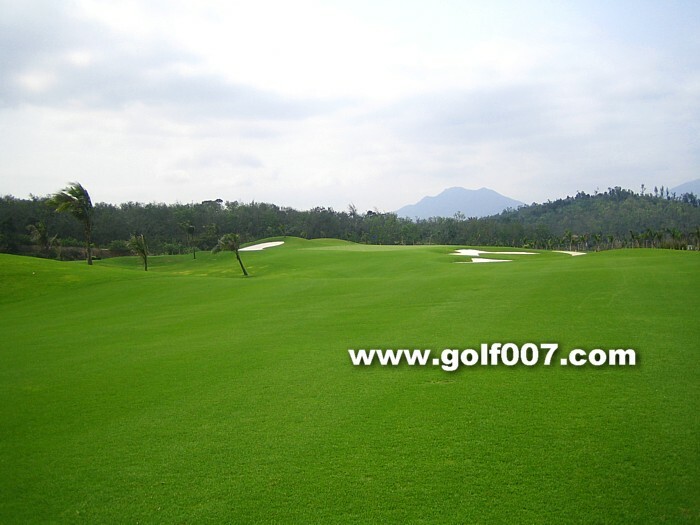 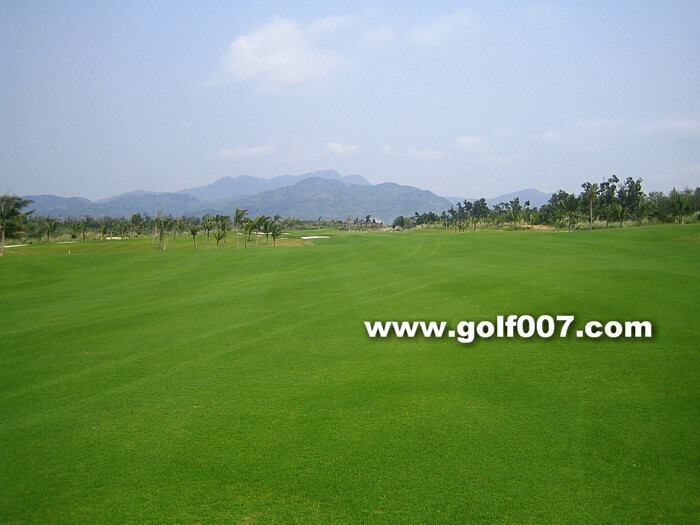 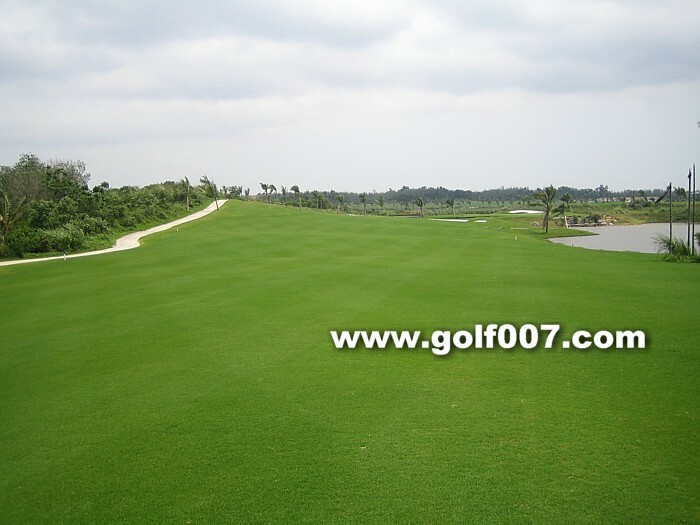 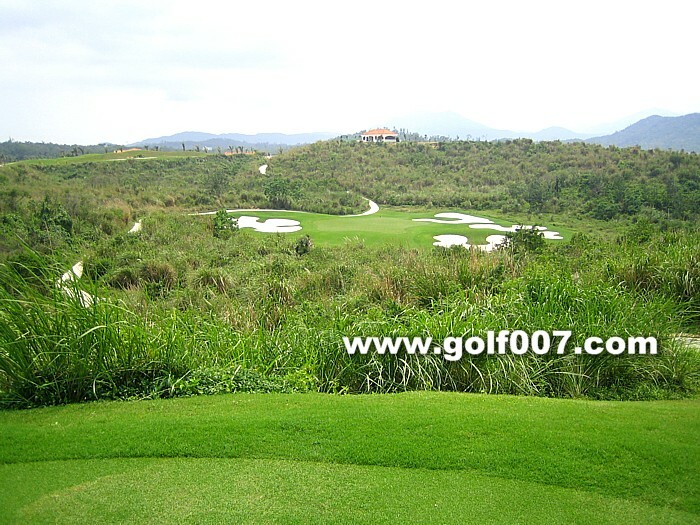 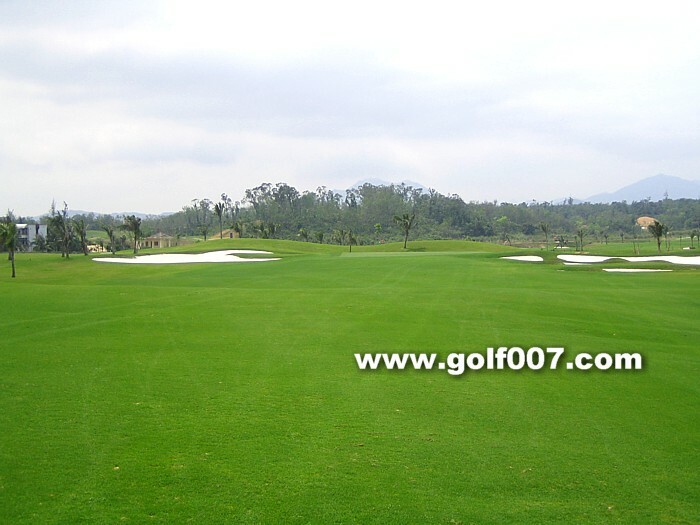 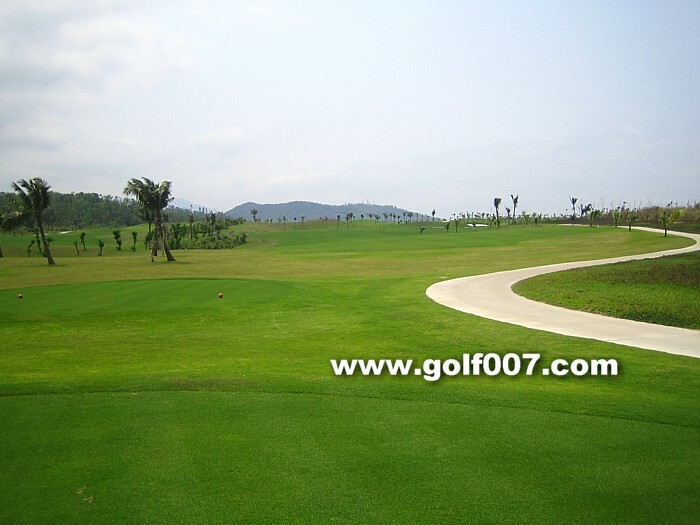 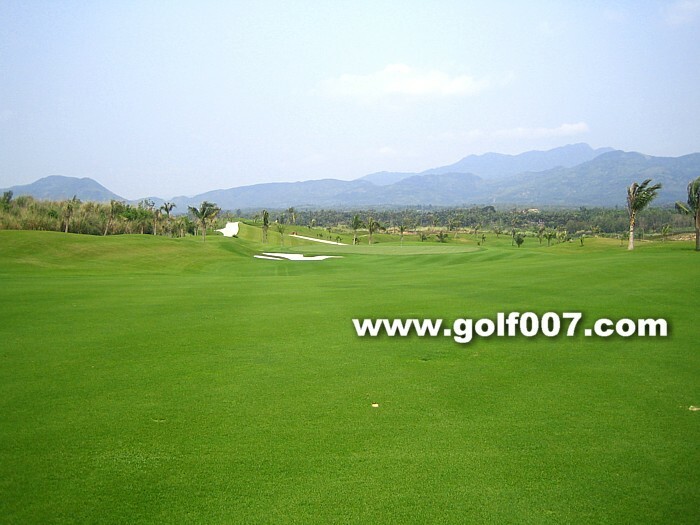 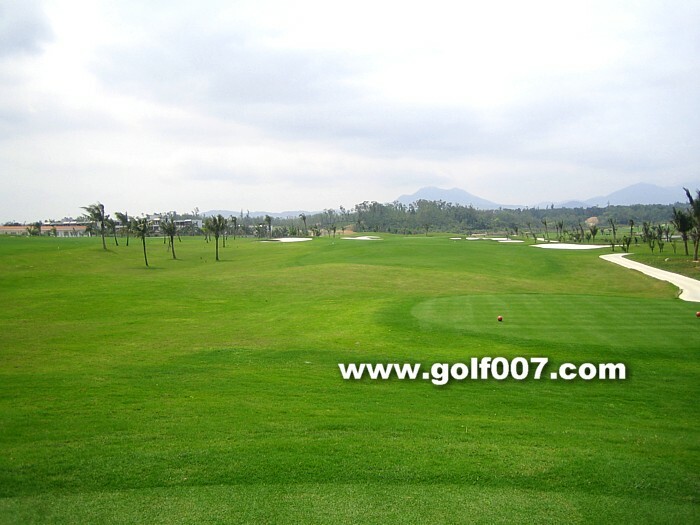 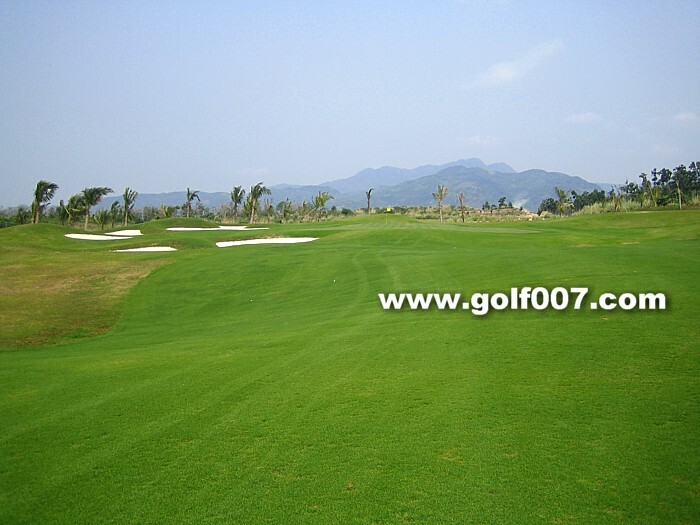 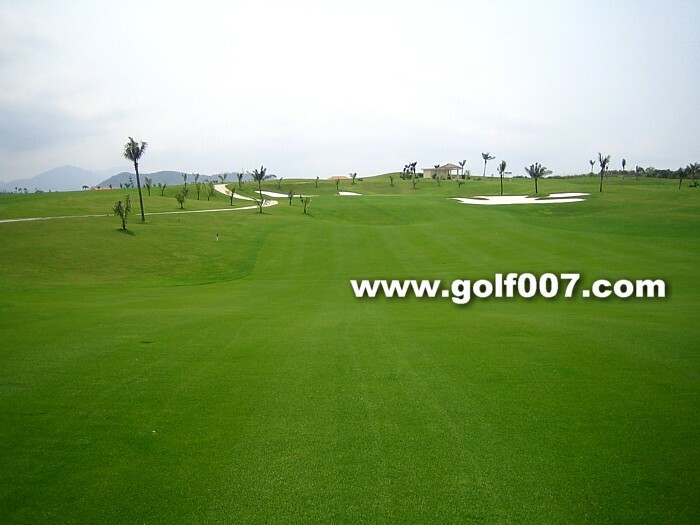 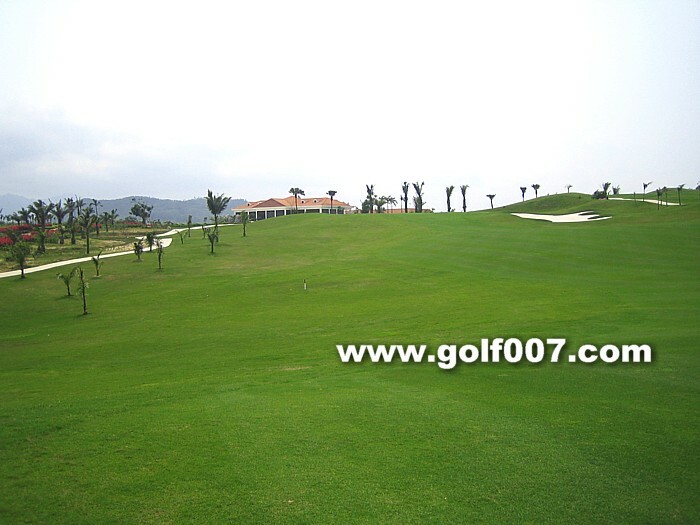 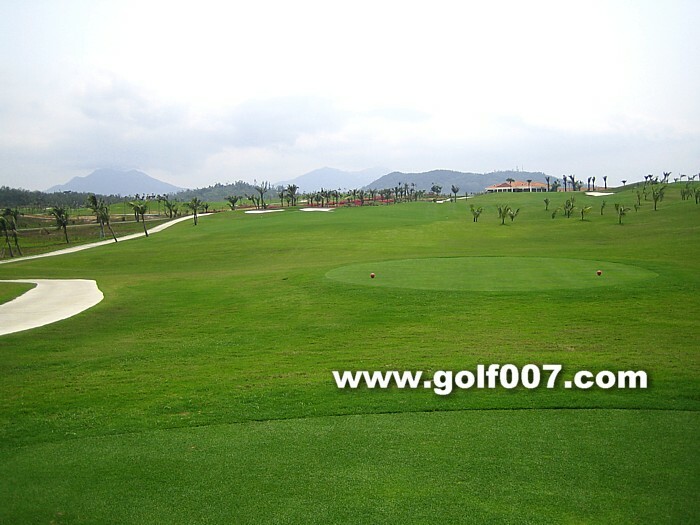 Downhill long Par 5, wide fairway, long and narrow green. 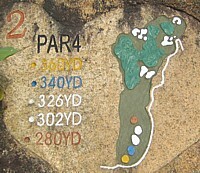 Dogleg right, uphill second shot.